Lock in a great price for Hampton Inn Mesa Verde/Cortez Co – rated 9.1 by recent guests! Very comfortable beds, great staff, exceptionally clean and a good (for free) breakfast. The staff were very friendly, and it was nice to have a "store" to purchase water, cookies and ice tea. The restaurant near by was great. The room was very clean and comfortable. Loved the way it was furnished. It appeared to be new. The bathroom was well designed and stocked. Large and comfortable room. A blanket to substitute for the over-the-top comforter. Good temperature control. Good breakfast, except on Sunday when everything seemed to be overwhelmed for the single attendant. No oatmeal, no yogurt, no bacon, and no potatoes at one time or another. Nice clean rooms! Comfortable beds. Friendly staff that gave us excellent suggestions on where to eat and get good coffee. The cute town is very close. I felt safe. The staff recommended Tequilas Authentic Mexican Restaurant nearby and it was delicious. Even though we were having a late dinner and the last patrons in the restaurant, the staff was friendly and courteous. Excellent location if you are visiting Mesa Verde National Park. Great breakfast options in comparison to many other hotels. Very clean. Sheets were amazing. Room was so large I had no problem doing my morning Qi Qong exercises but that was a bonus I would not expect that luxury. The facility was so clean and the front desk agent gave me a GREAT recommendation when I said I wanted Thai food. I will stay at Hampton Inn again. Wonderful encounter all around. 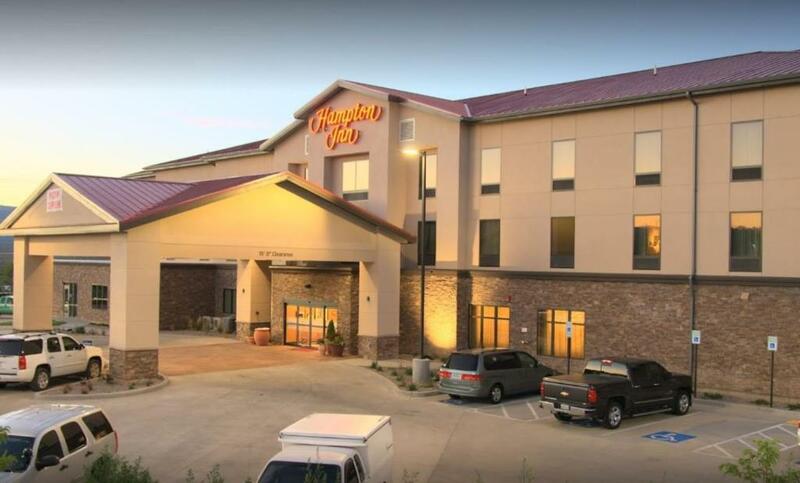 Hampton Inn Mesa Verde/Cortez Co This rating is a reflection of how the property compares to the industry standard when it comes to price, facilities and services available. It's based on a self-evaluation by the property. Use this rating to help choose your stay! Located in Cortez, 26 miles from Mesa Verde National Park, Hampton Inn Mesa Verde/Cortez Co provides rooms with air conditioning. This 3-star hotel offers free WiFi. Rooms are equipped with a TV with cable channels. Cortez Municipal Airport is 6 miles from the property. This property also has one of the top-rated locations in Cortez! Guests are happier about it compared to other properties in the area. When would you like to stay at Hampton Inn Mesa Verde/Cortez Co? House Rules Hampton Inn Mesa Verde/Cortez Co takes special requests – add in the next step! Hampton Inn Mesa Verde&#47;Cortez Co accepts these cards and reserves the right to temporarily hold an amount prior to arrival. Hampton Inn Mesa Verde/Cortez Co accepts these cards and reserves the right to temporarily hold an amount prior to arrival. Nice and clean hotel, much better than some 3-stars hotels. Good breakfast. Breakfast was fresh and good variety. Many TV stations were not available (there was no guide to indicate what was available). Netflix, Hulu, Amazon Video, etc were not available for sign-in. Internet connection is a bit involved (can't do it through the HHonors site. Upload & download were 5 MB. Breakfast could have been more carb restricted friendly. Breakfast was a little cold. Pillows were too soft, couldn’t sleep well. To sign in WiFi, need to login and we called the service desk few times but no answer. Had to personally went down to sort it out. Front office staff member on checkout was very grumpy. Whilst not rude to me, he did not engage in any conversation whatsoever and really just looked like he hated his job! Room was incredibly clean and the bathroom was spacious. The bed and pillows were very comfortable. Breakfast had a good selection on offer.